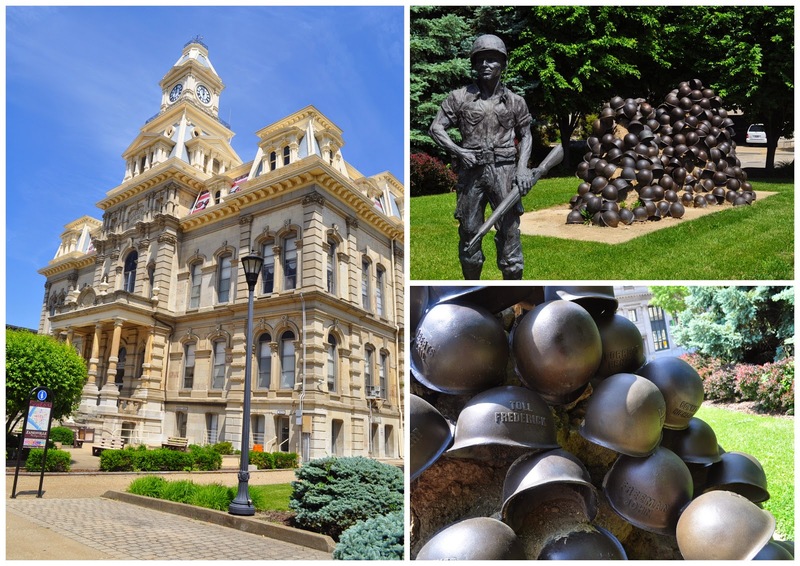 Road Trip: Buckeye Lake & Zanesville, OH | The Food Hussy! A few weeks ago we were heading back from a trip in Northern Ohio for the Certified Angus Beef Council (Day 1, Day 2) and decided to take a scenic comfy route back. We ended up at Buckeye Lake - which is about 30-40 minutes East of Columbus. To me - this is perfection. I want to retire here. Wake up to this view - sit and watch people and boats and fish. Ahhhhhhhh. Luckily the guy I'm married to feels the same way. Seriously - is this not ADORABLE? I'm not kidding - if I ever get to retire - this will be where you can find me. It's so bright and colorful - even in the winter - I'd be happy! It also makes for some good pics - a lot of people come out and just sit by the water. I was a little surprised there wasn't any restaurant or motel on the water - but maybe that's what I'll do when I retire here! There was also this really cool house - they were a bit behind some of the other houses - so they built their own lighthouse so they still have the lake view! How awesome is that! I kept staring - Larry finally let me take a picture. 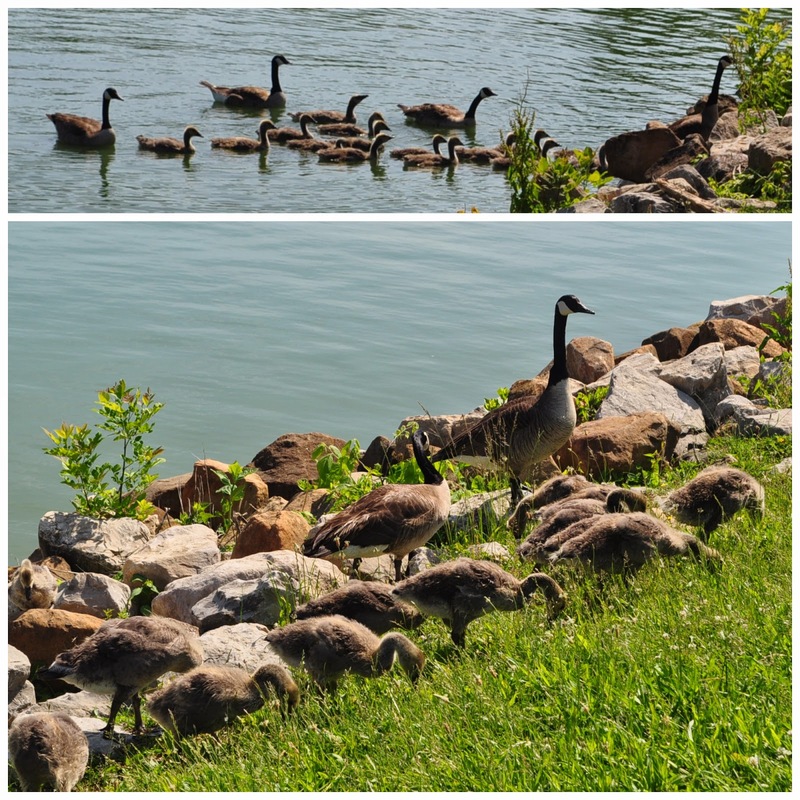 Also at the lake were BABY GEESE!!!! I was stalking them all around the lake. They were so cute - they swam over and then all got out and started noshing away! After all that walking - we were hungry. Like I said though - nothing on the lake. So I hit my Urbanspoon app and tried to find someplace to eat as we're driving. 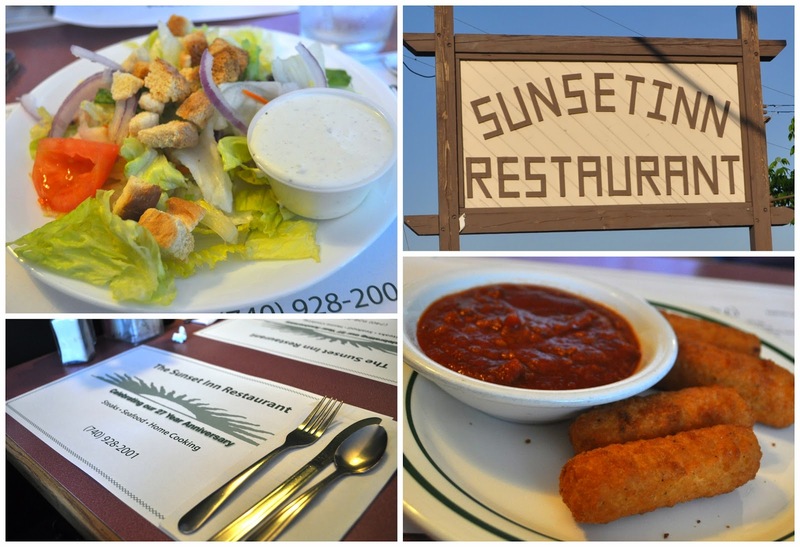 #challenging I came across Sunset Inn and Larry was skeptical to say the least. It's the not the prettiest thing from the outside - or the inside - but it was AWESOME! Racquel was our server and she was fantastic!!! She said that everything was homemade and that we were in for a treat. You could definitely see there were locals and regulars there. We started out with salad and mozz sticks (which were batter dipped and yummy!). Larry got a ham & cheese on rye with a side of mashed potatoes. We did not know how amazing this was going to be. The ham & cheese was perfect - it was lightly grilled with melty cheese. The real star was the mashed potatoes and gravy - all homemade. Omg - so freaking good. My dinner had mashed potatoes & gravy too!!!! The gravy had little bits of meat and flavor - omg just so damn good! The potatoes were real too - definitely not powdered. I ordered fried jumbo shrimp and much to my surprise - it wasn't out of a bag! This was real jumbo shrimp that they battered and fried. So freaking good! This was when Racquel told me how they make everything there and that yes - it is that damn good. This meal was delicious and super-filling too. Oh man - so hungry right now just thinking about it! Then we weren't hungry - but we knew we HAD to get dessert. I mean - seriously - with all that deliciousness - I wasn't passing up homemade pineapple upside down cake! Larry was pleased as pie that they had apple pie he could eat too! We got them to go and took them back to our hotel. And then even though we were still full - we couldn't help ourselves. 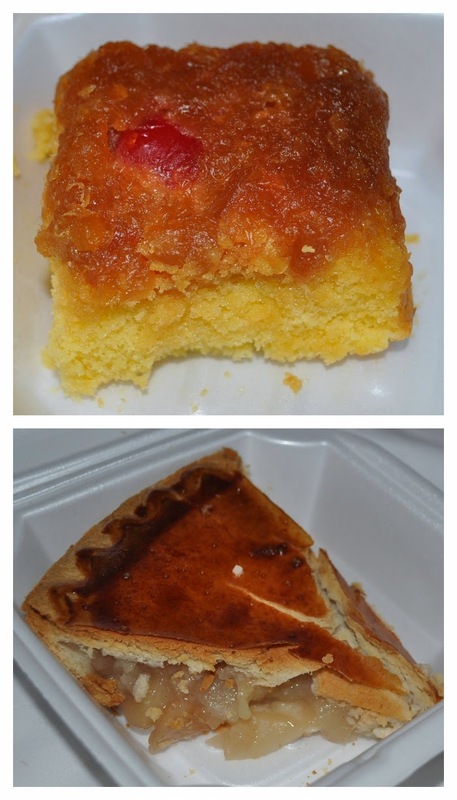 And I can tell you - BEST PINEAPPLE UPSIDE DOWN CAKE that I've had since my mom made it for my 7th birthday! Why Should You Go? I think it's obvious - if you go to Buckeye Lake - this is where you go for dinner (and probably lunch too). The next day we headed through Zanesville on our way home. They really take their war memorials seriously - I think we walked by five in a two-block radius. The downtown is very pretty and manicured. I snapped this shot in the store and it just jumped out at me. It's like all this clutter and chaos - with this shining light in the center. Kinda cool. Our road trip was such a success and we had so much fun. I know we'll be back to Buckeye Lake again soon!